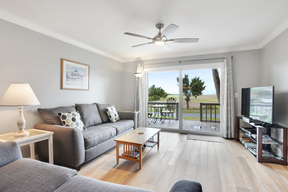 This beautifully decorated, 1 bedroom, 1½ bath marsh and ocean view villa has been totally remodeled and refurnished, with quality finishes, furnishings and appointments throughout including laminate and tile flooring, stainless steel appliances, granite kitchen counter tops with breakfast bar, and custom window treatments. 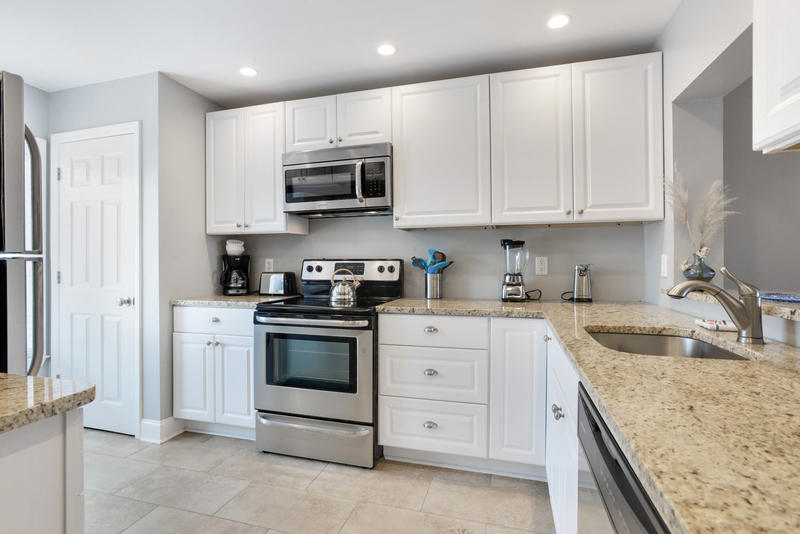 The refreshing decor includes a remodeled kitchen showcasing stainless steel appliances, a new washer / dryer for your convenience. A combined living and dining area boasts a new sofa and loveseat big enough to curl up in. The spacious living area includes cable TV (42' flat screen) with DVD player. 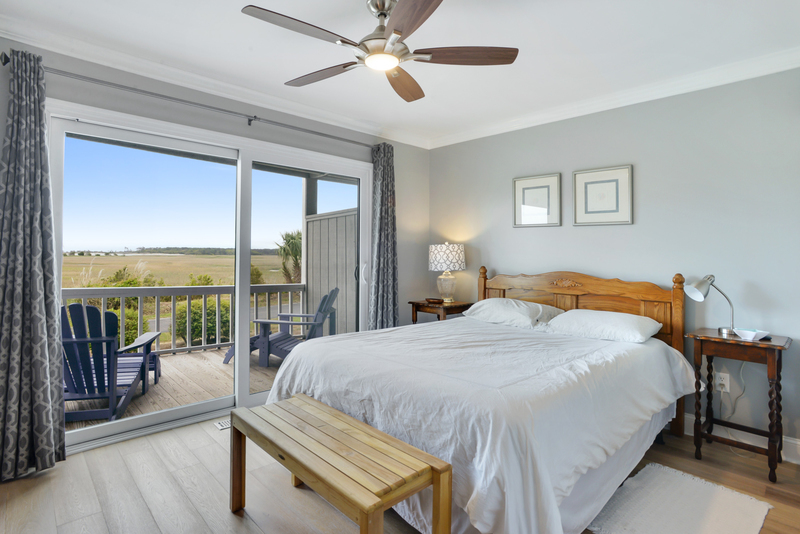 Enjoy the ocean breeze and great views from the deck right off the living space and master bedroom. 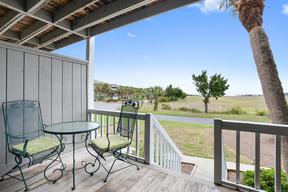 Wireless high speed Internet connection means you can sit on your deck and take in breathtaking views while you surf the net! 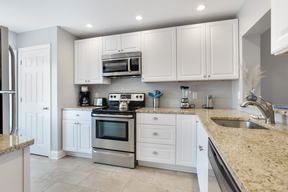 The contemporary kitchen is fully equipped and beautifully appointed with cookware, tableware and new lighting. 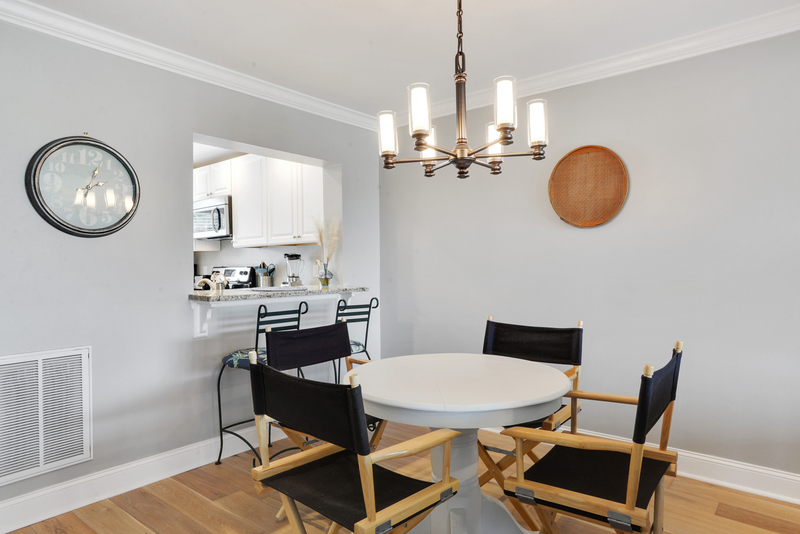 There is a dining area which seats 4 comfortably. 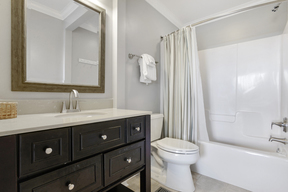 For your convenience, there is also a 1/2 bath. 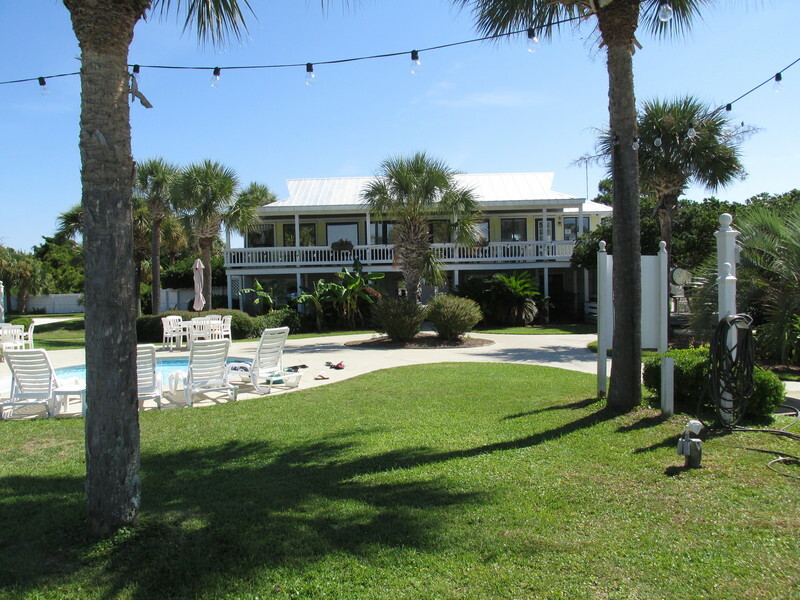 This sweet villa has 2 decks, one off the master and the other off of the living area. 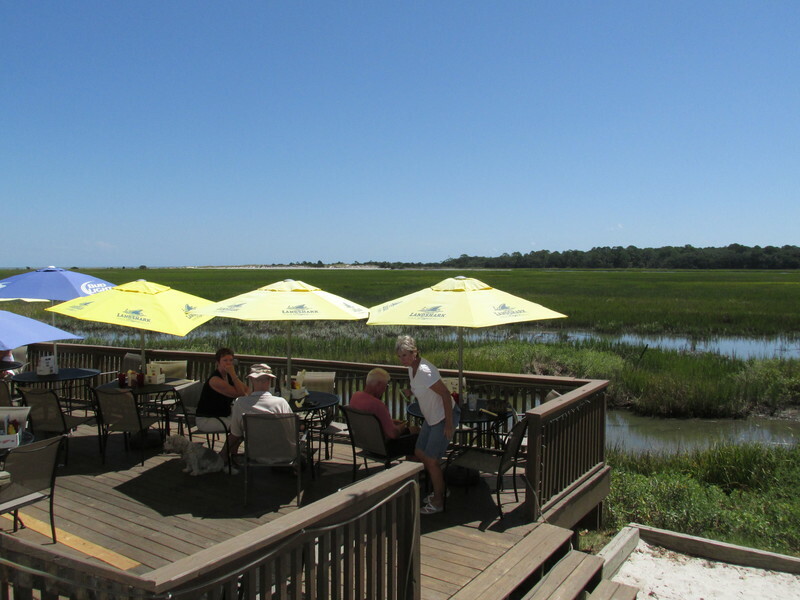 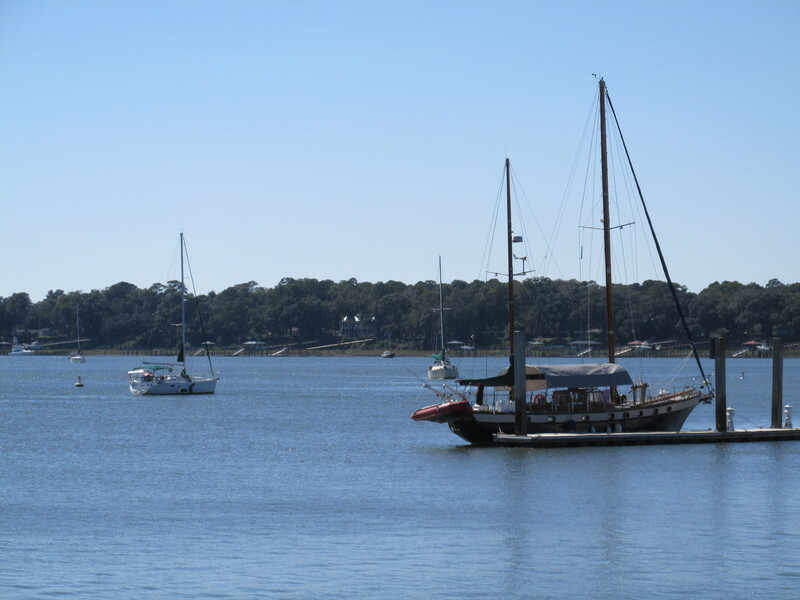 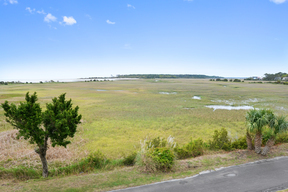 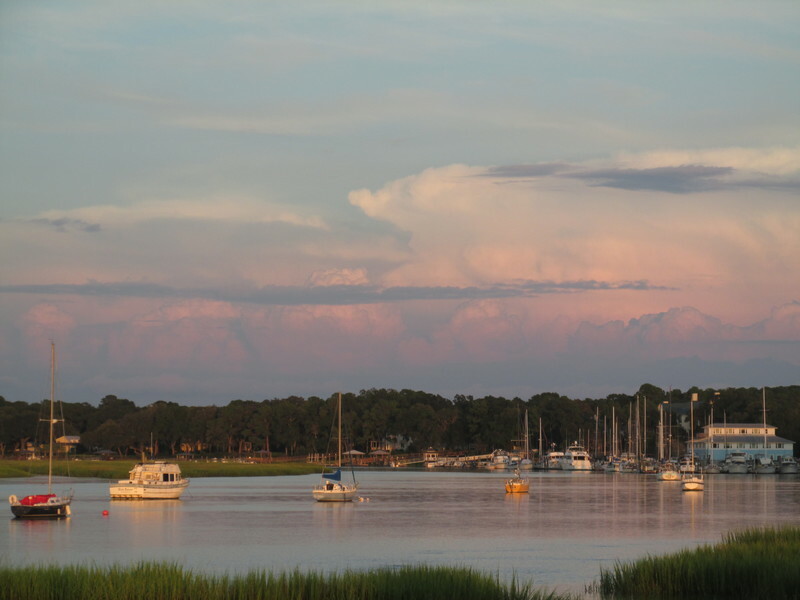 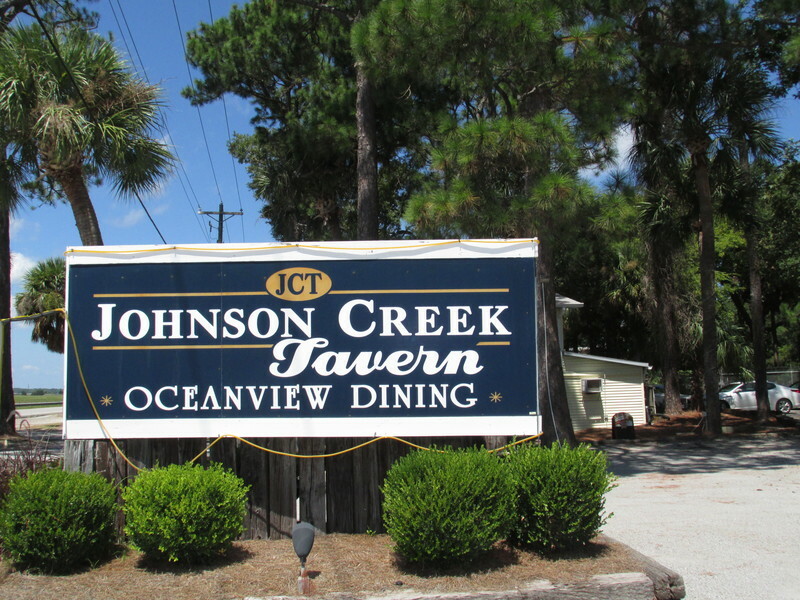 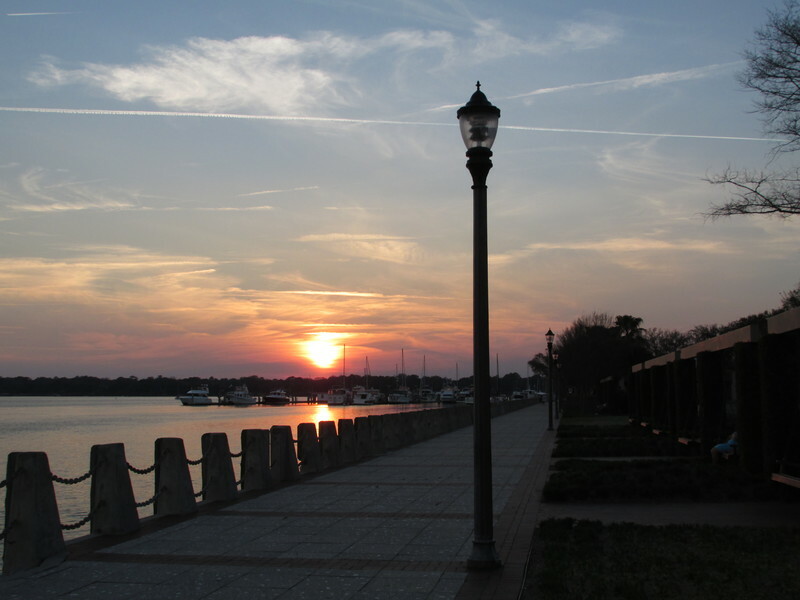 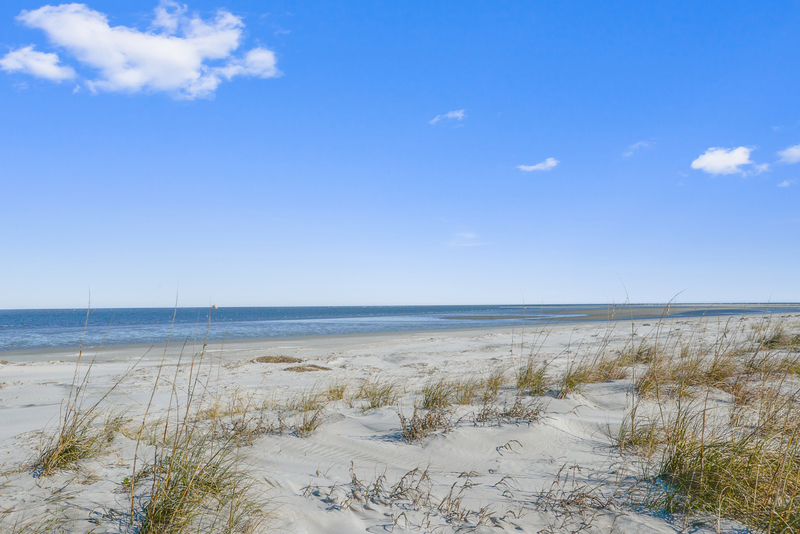 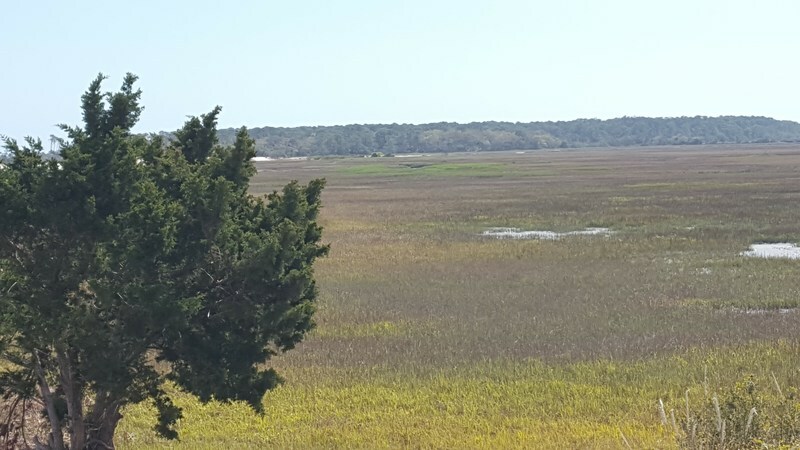 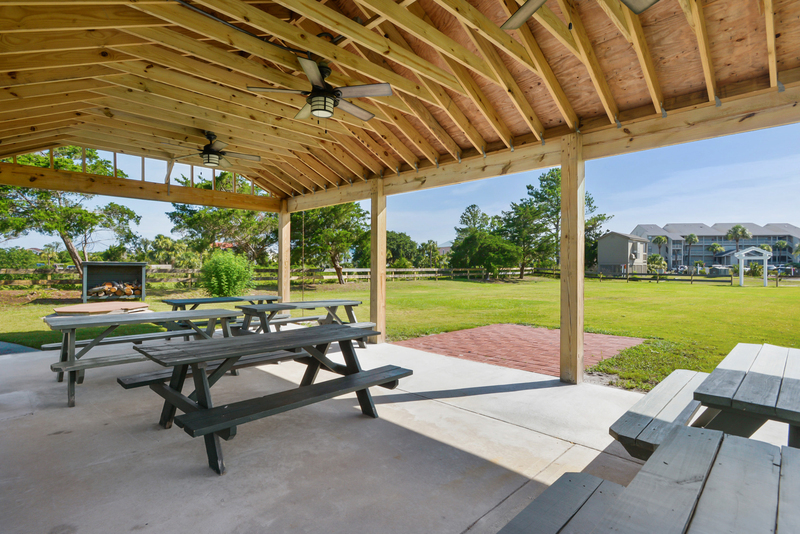 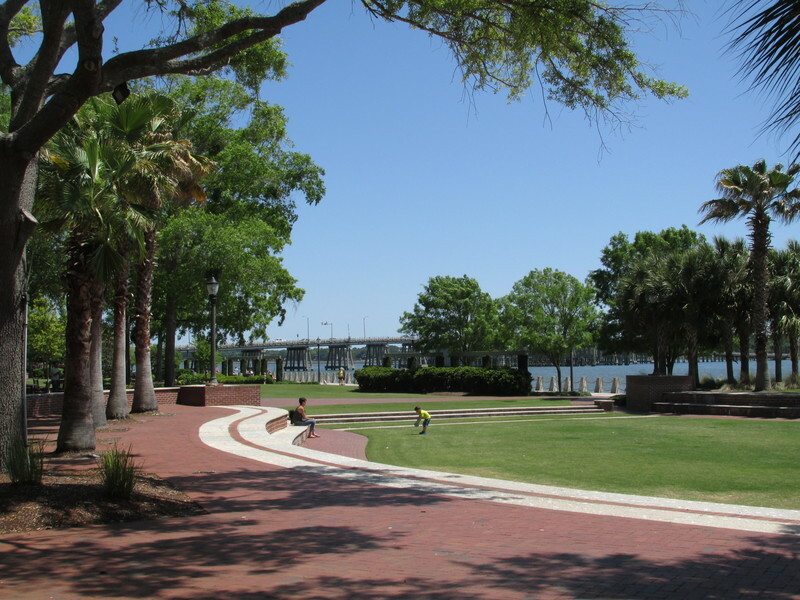 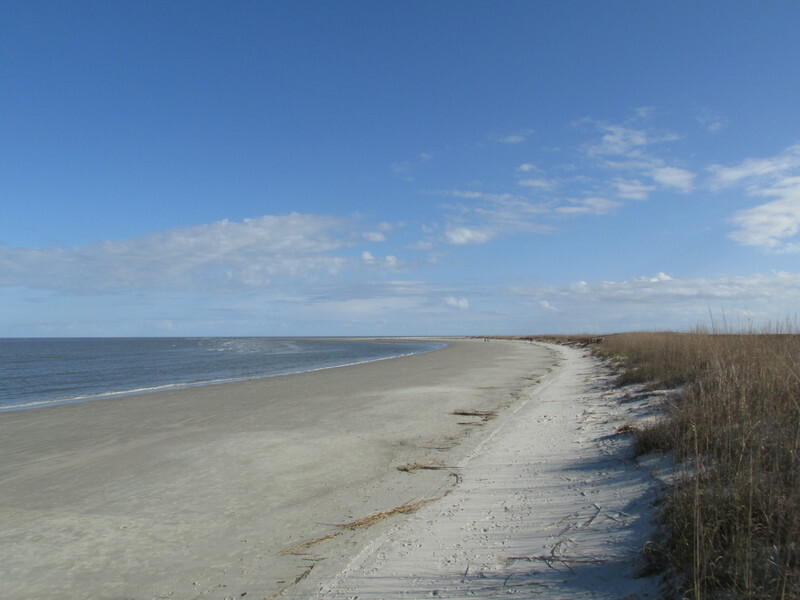 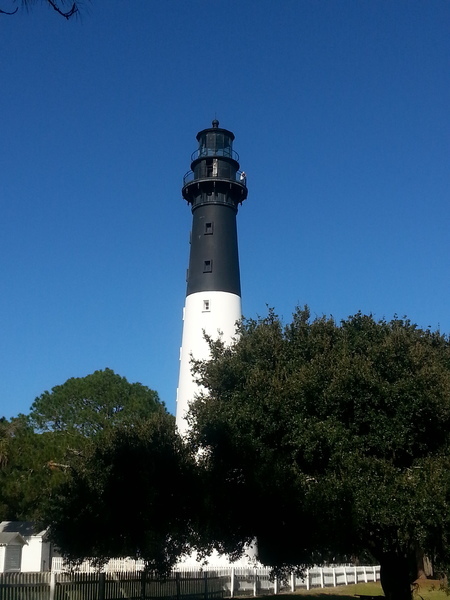 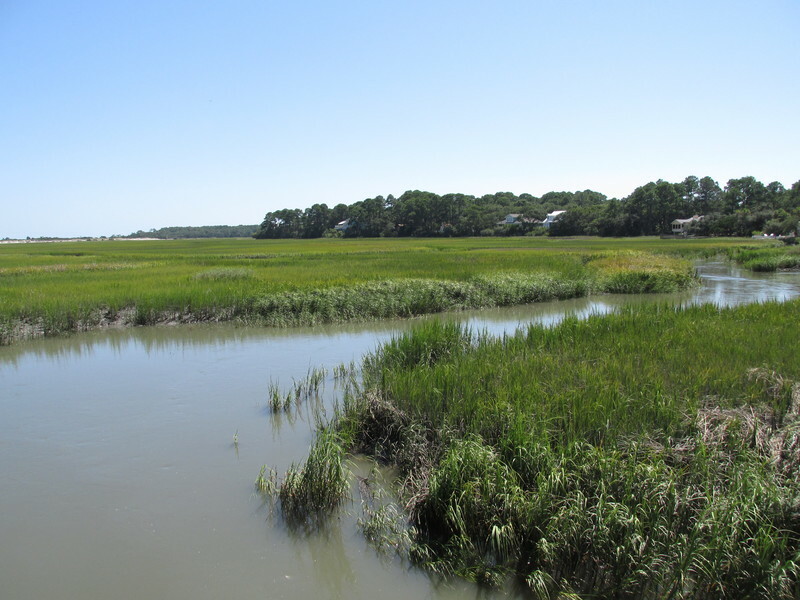 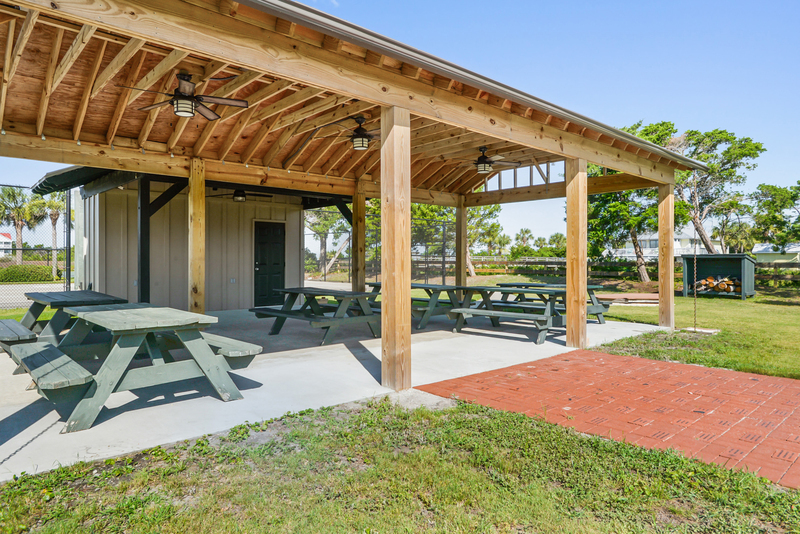 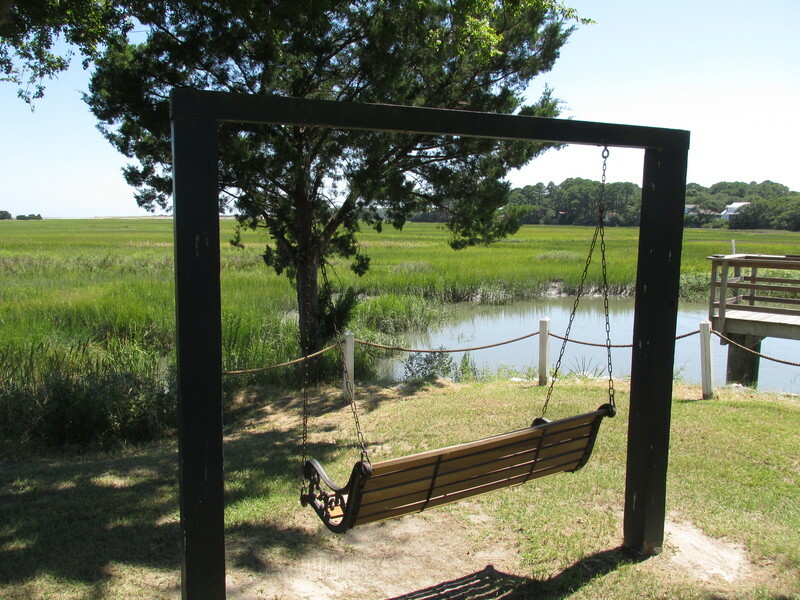 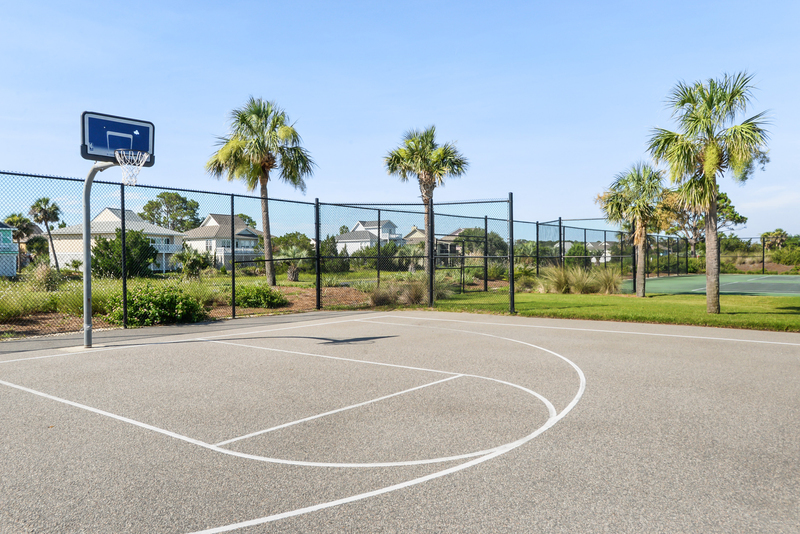 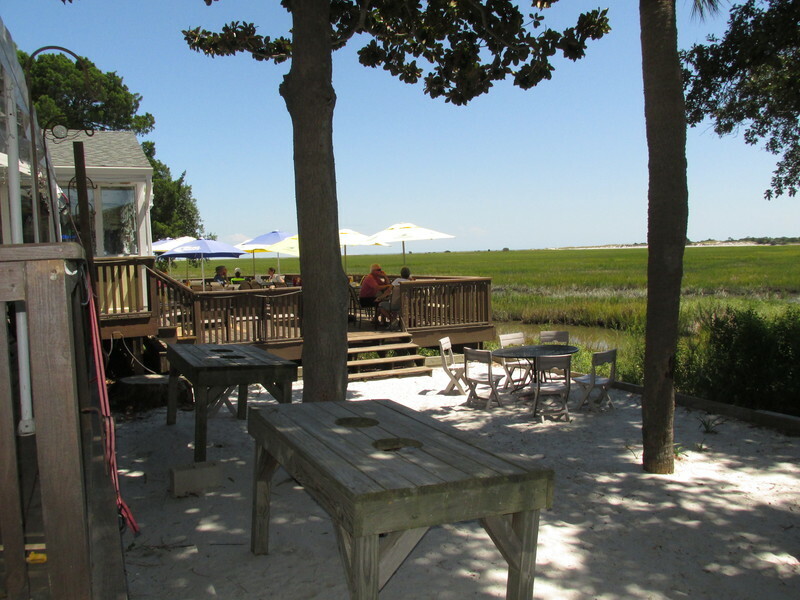 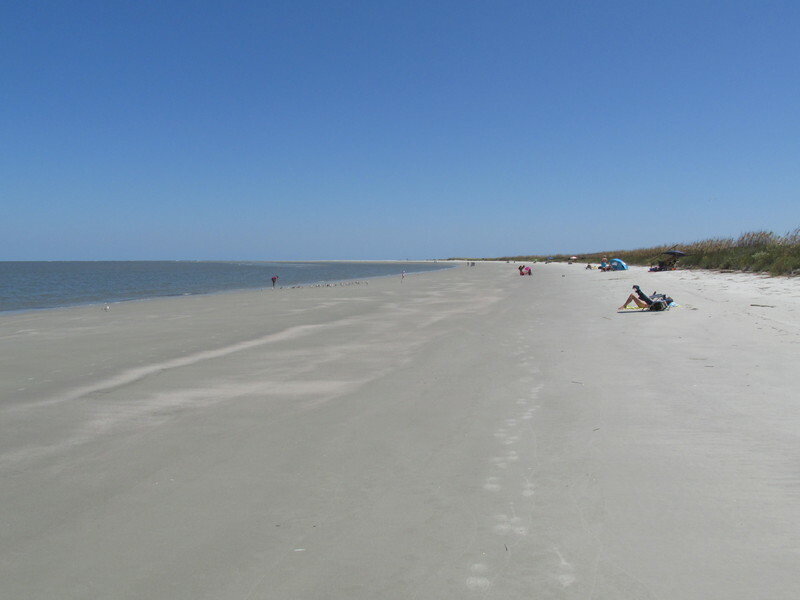 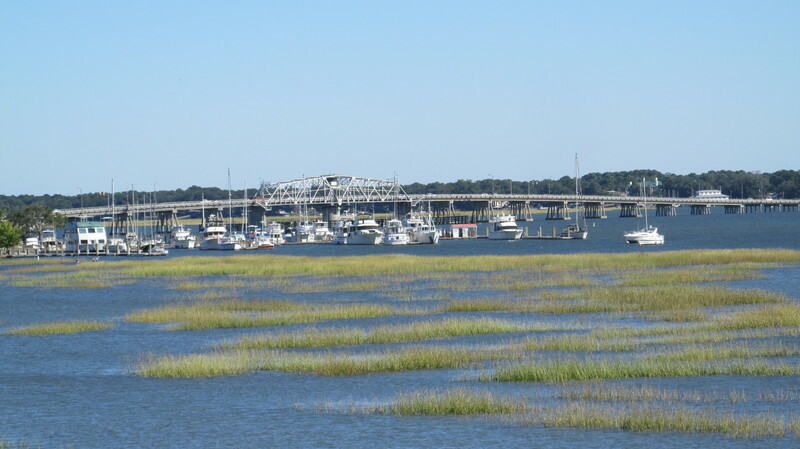 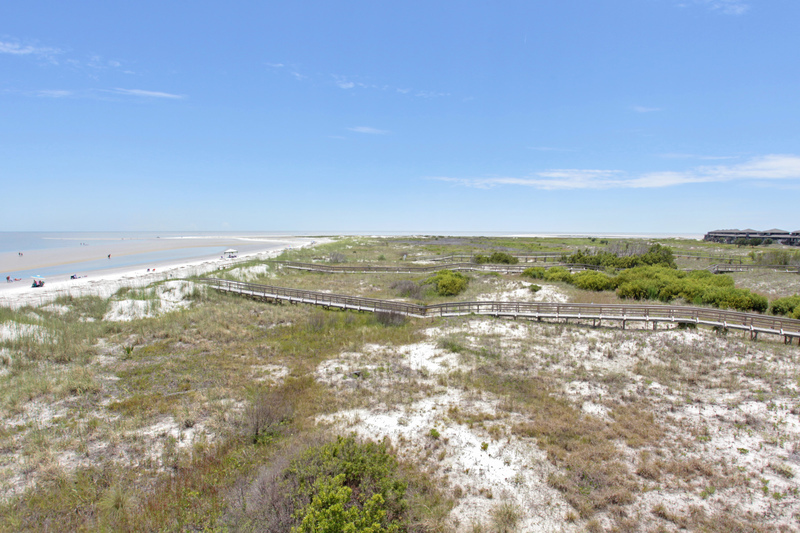 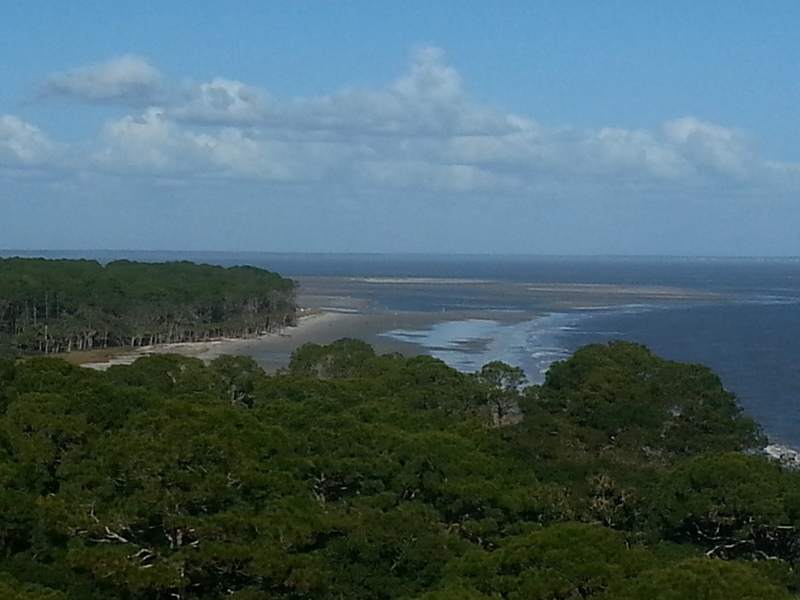 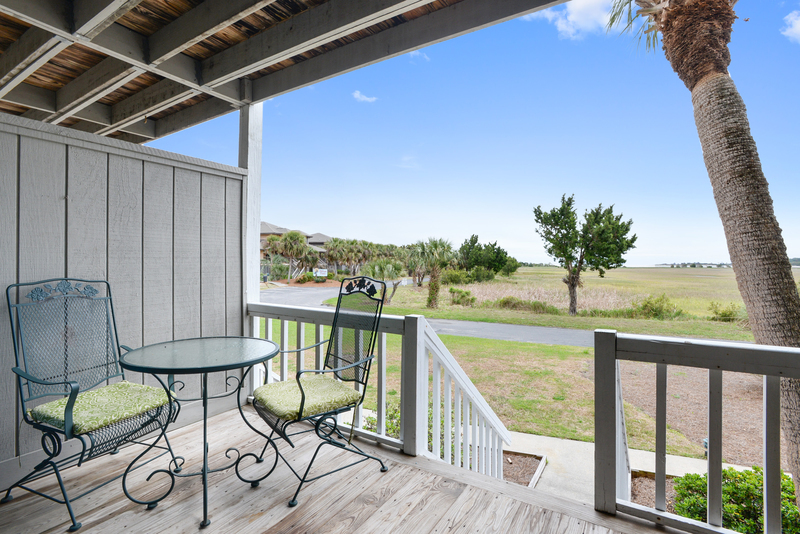 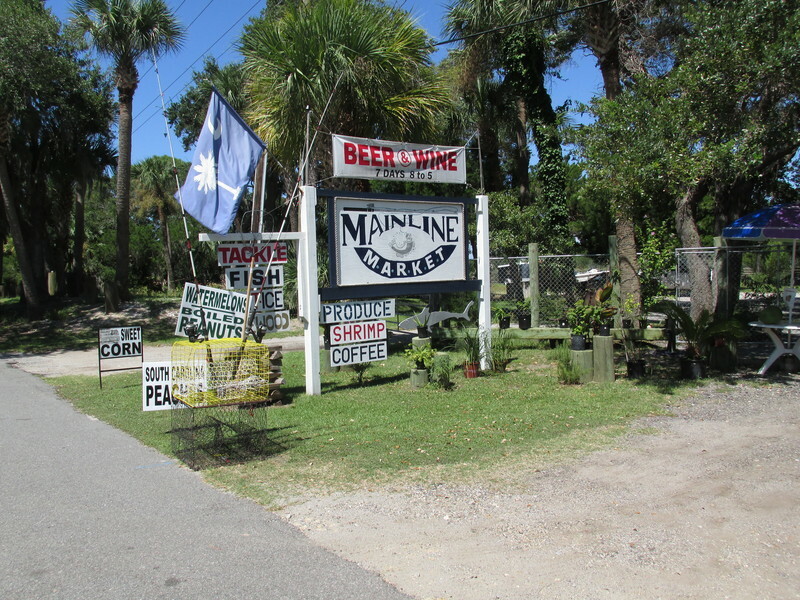 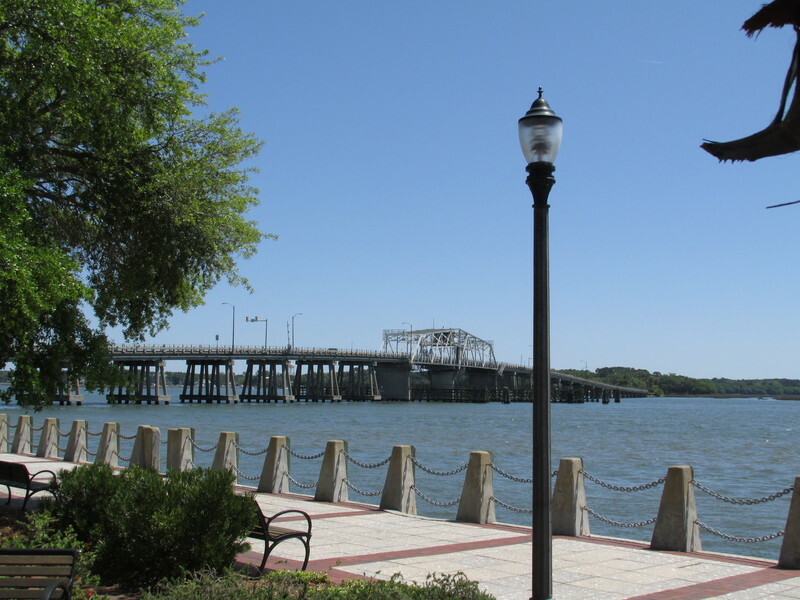 Both offer beautiful views of the marsh, ocean and Hunting Island to relax after a day at the beach. 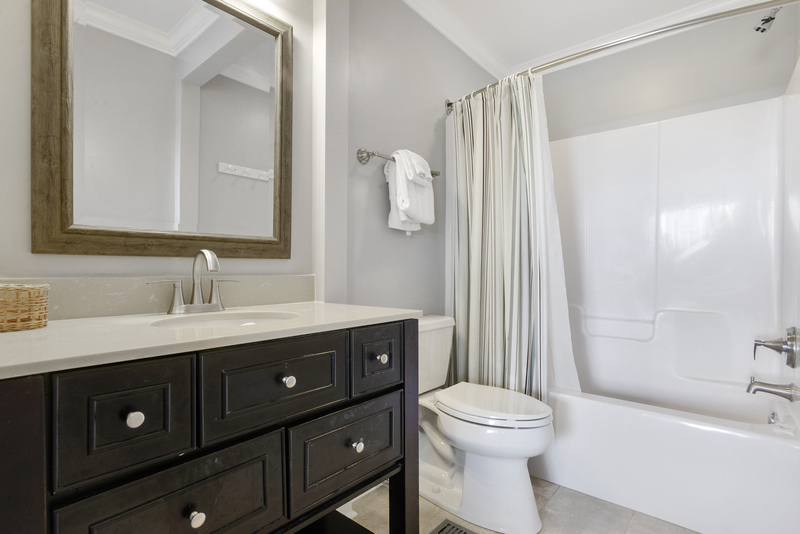 Sink into the queen sized bed in the master bedroom and enjoy the newly renovated spacious master bath. 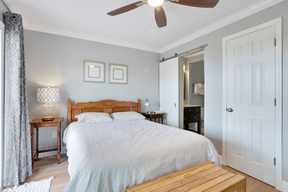 The ceiling fan above in the living room and master bedroom enhance the soft ocean breezes inviting sweet dreams. 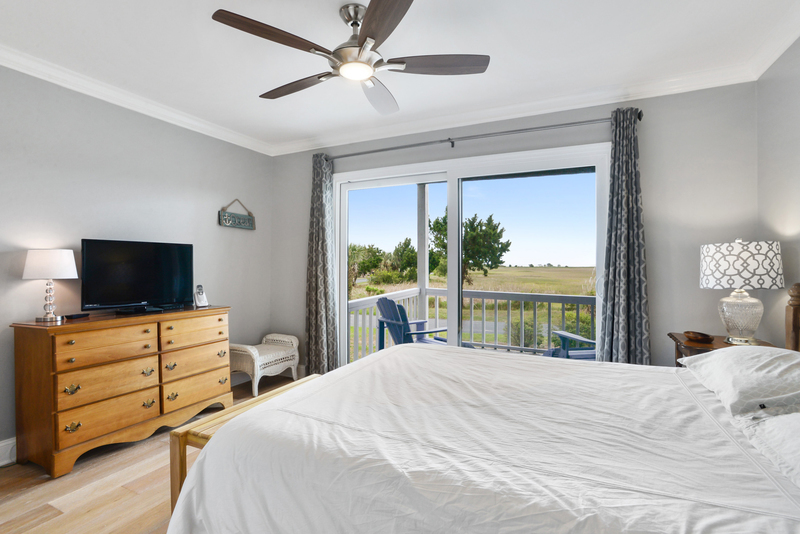 In addition to sumptuous bedding, the master offers plenty of storage, cable television with 32' flat screen TV, and large sliding glass door that provide ample natural light with gorgeous views of the marsh, ocean and Hunting Island. 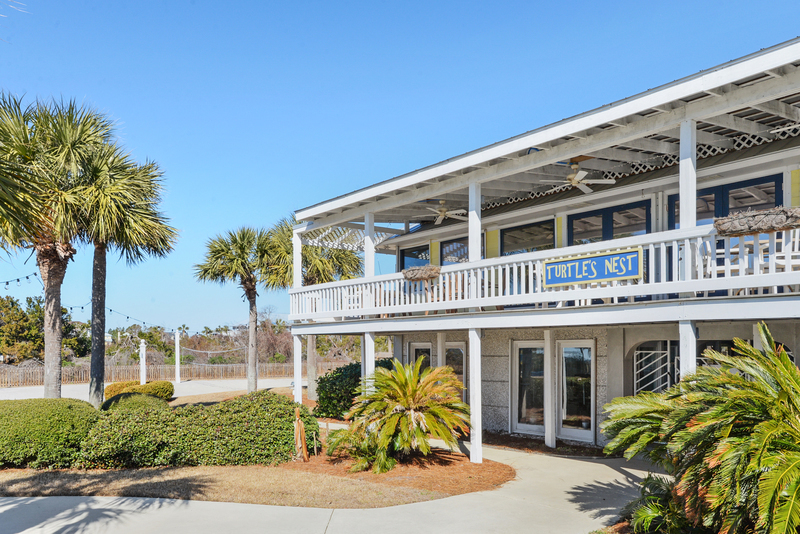 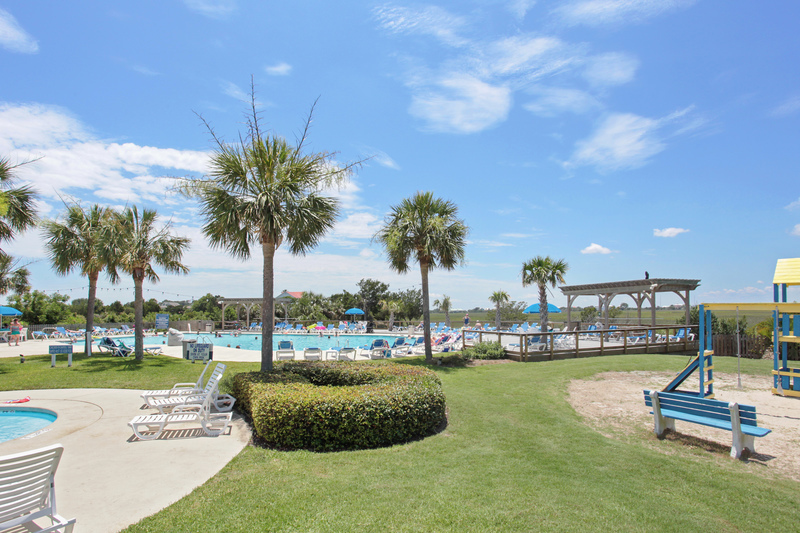 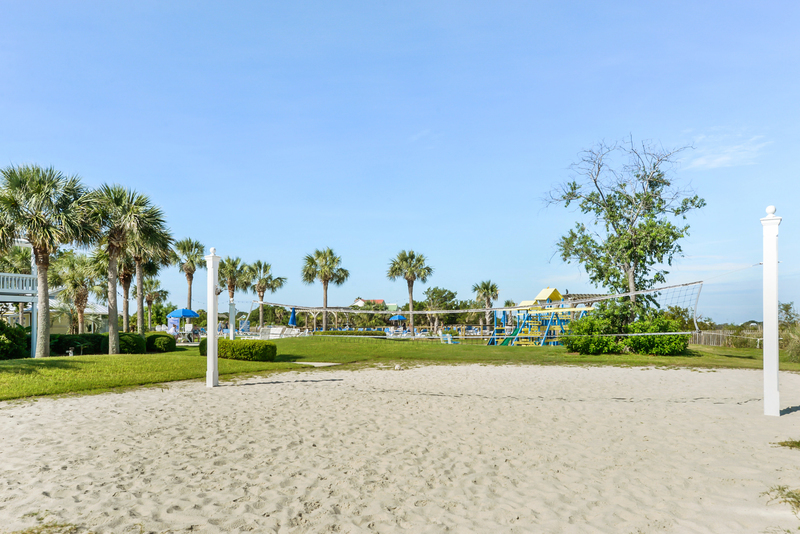 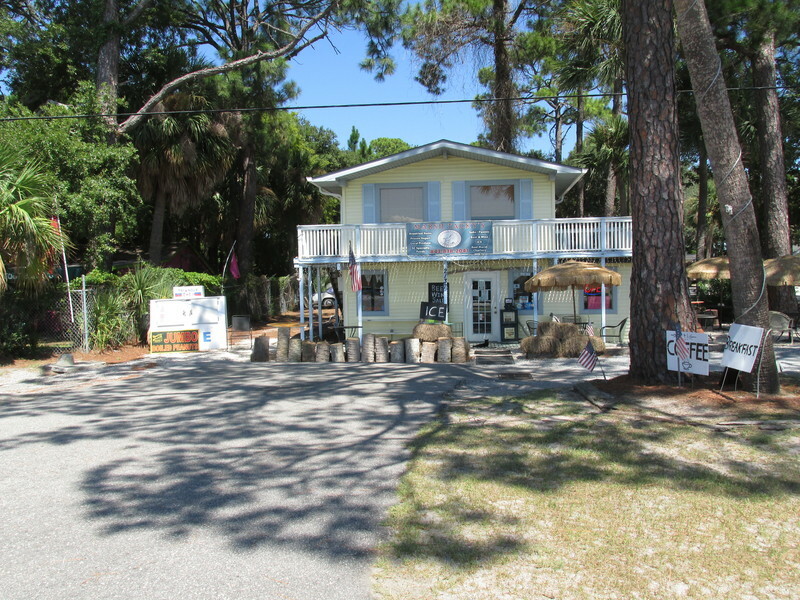 It is just steps from the pool and boardwalk to the private beach. 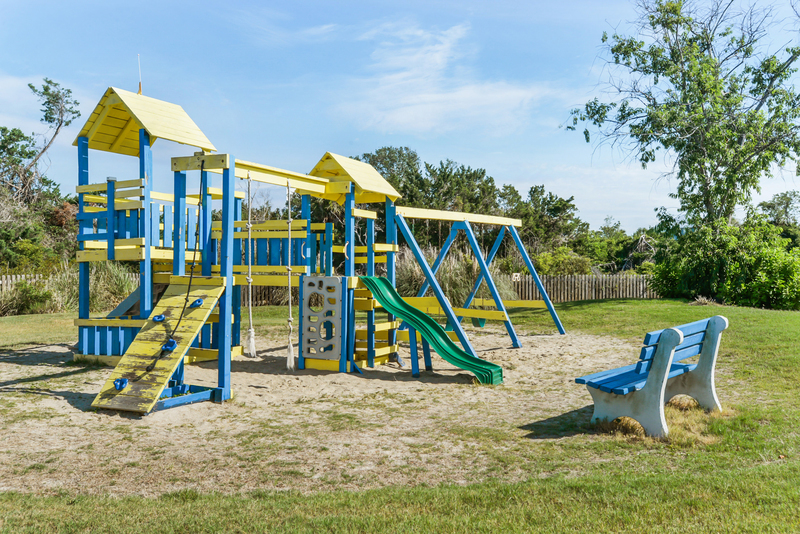 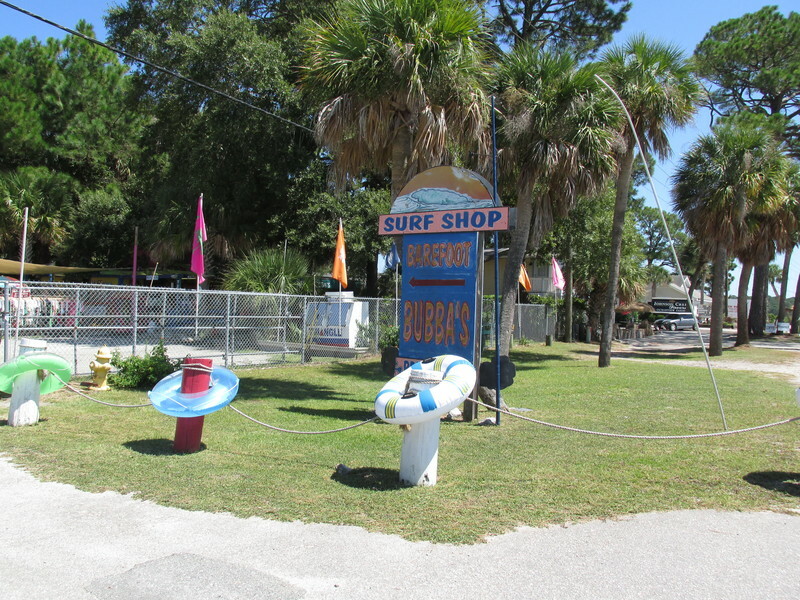 Right outside the privately gated island are stores to rent beach equipment, bikes, and kayaks for your land and sea adventures. 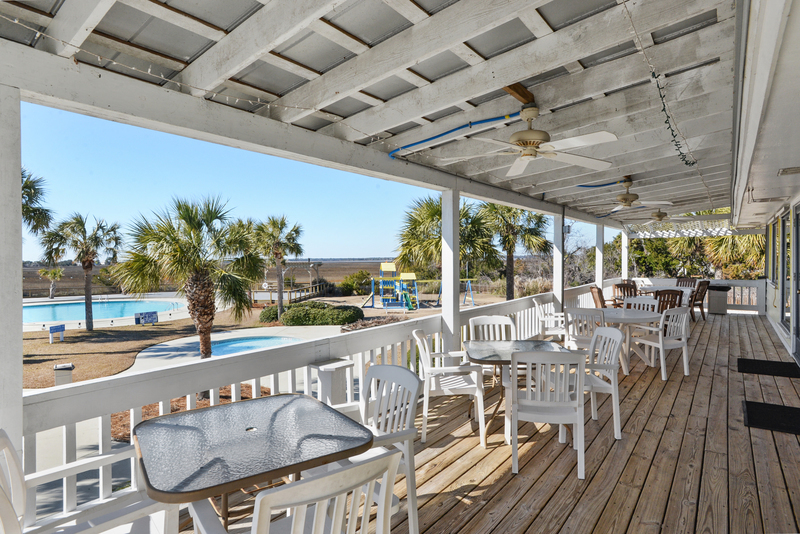 Enjoy watching the dolphins from the beach along with beautiful sunsets like none you will ever see anywhere else. 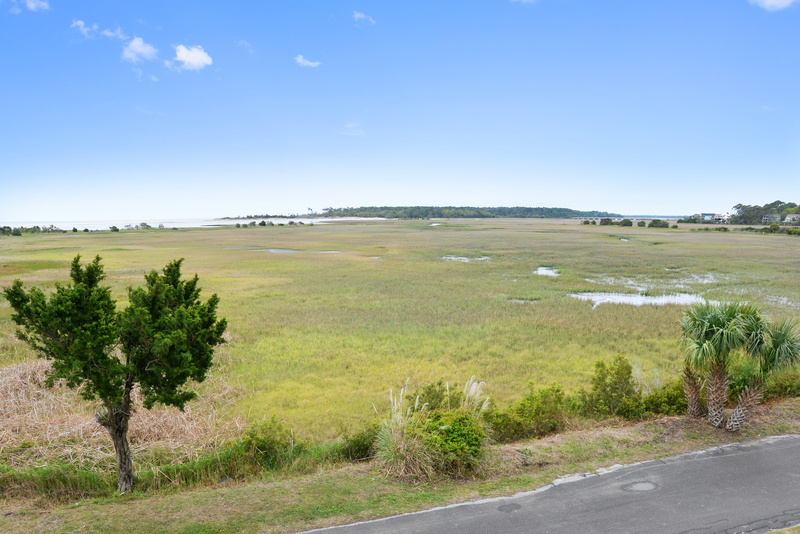 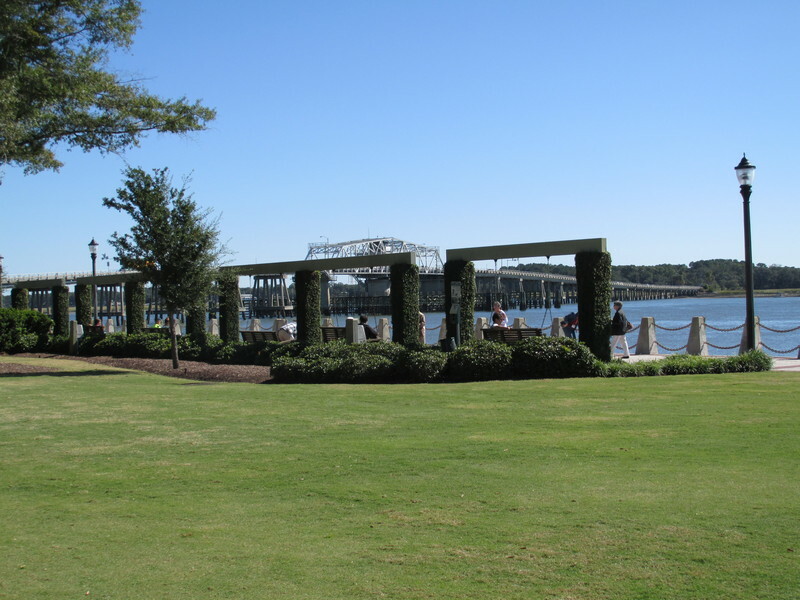 Prime location and fabulous views! 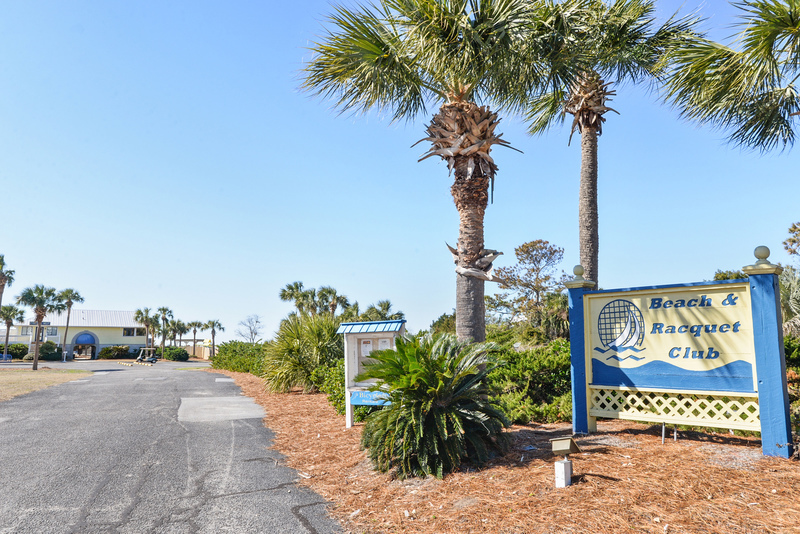 A short walk to the beach boardwalk....then about 4 minutes to the beach. 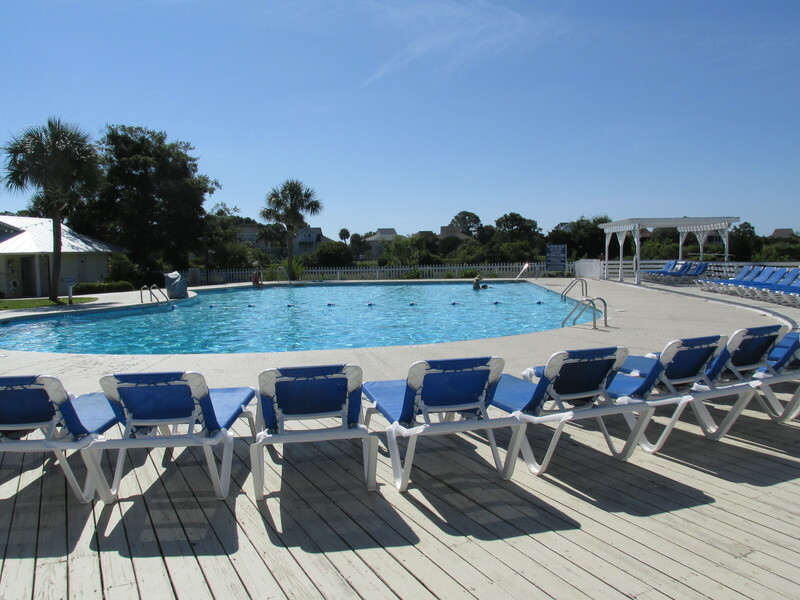 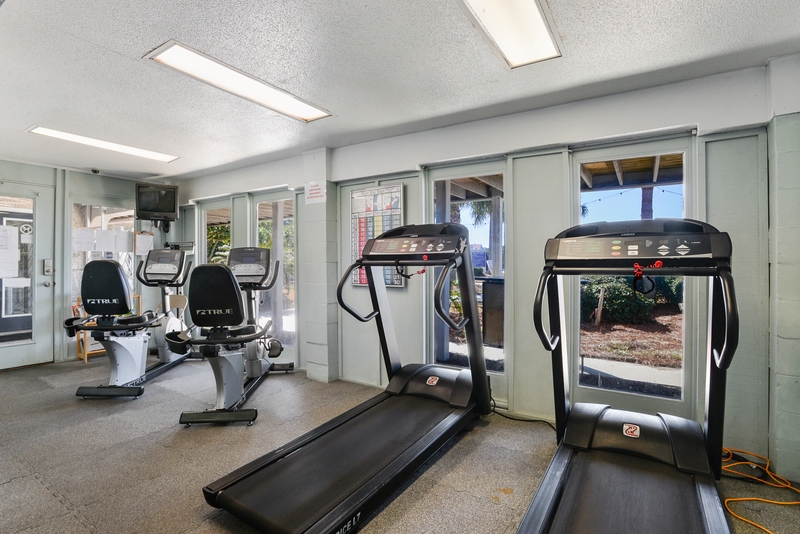 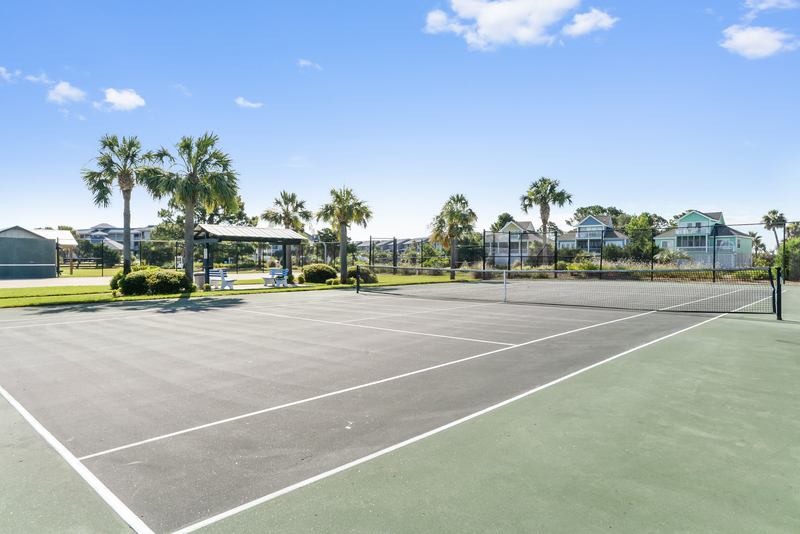 Condominium pool is close by the building and the Beach & Racquet Club just a block away. Wifi is included with rental. Bedrooms: Master bedroom features a queen-size bed, cable television, attached private bath, and a lovely marsh and ocean views! 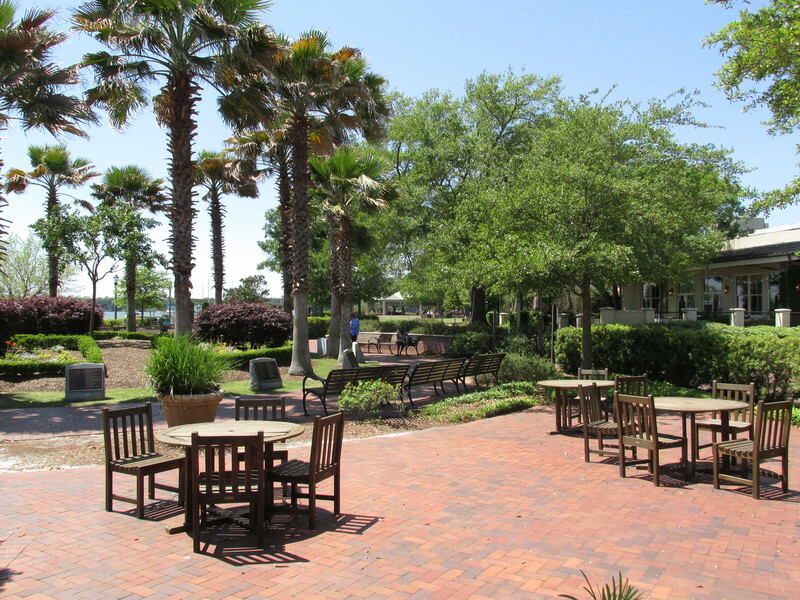 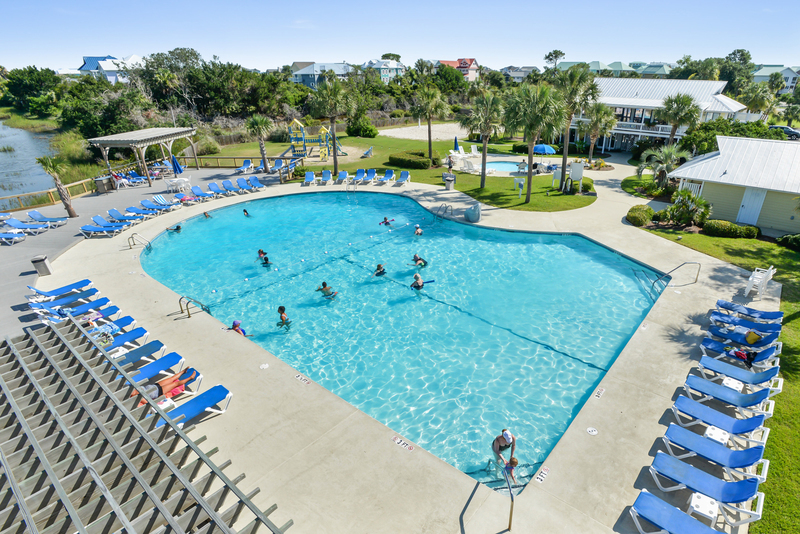 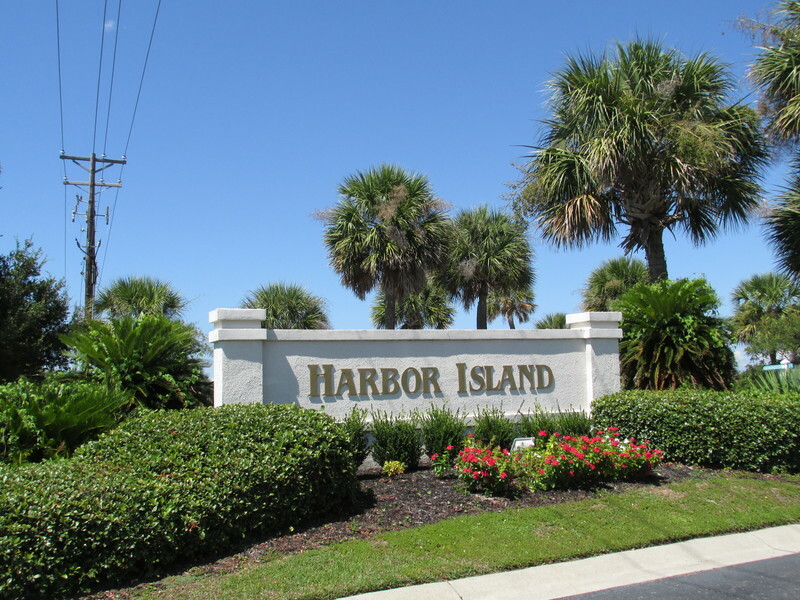 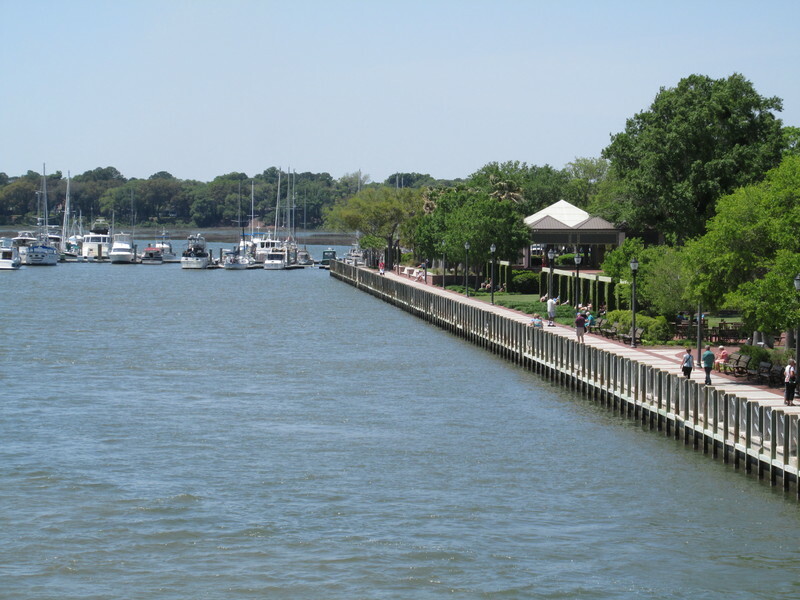 Harbor Island Resort on St. Helena Island, South Carolina, is a private vacation island with 24 hour guard at security gate. 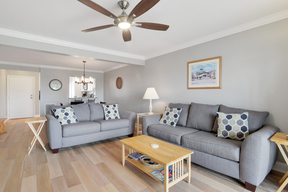 This is a beautiful and clean one bedroom beach villa on Harbor Island.